With legions of die-hard devotees, NYX Professional Makeup is consistently one of our most-searched for brands. A loose powder with stamina, this lightweight formula is the secret to acing your base. A great pick for oily skin, it keeps oil under control and grants a smooth matte finish, plus it’s free from sulphates and parabens so you need not worry about buffing any nasties onto your skin. There’s plenty of face-setting love to go around too – the powder comes in six flattering shades, suiting a wide spectrum of skin tones. 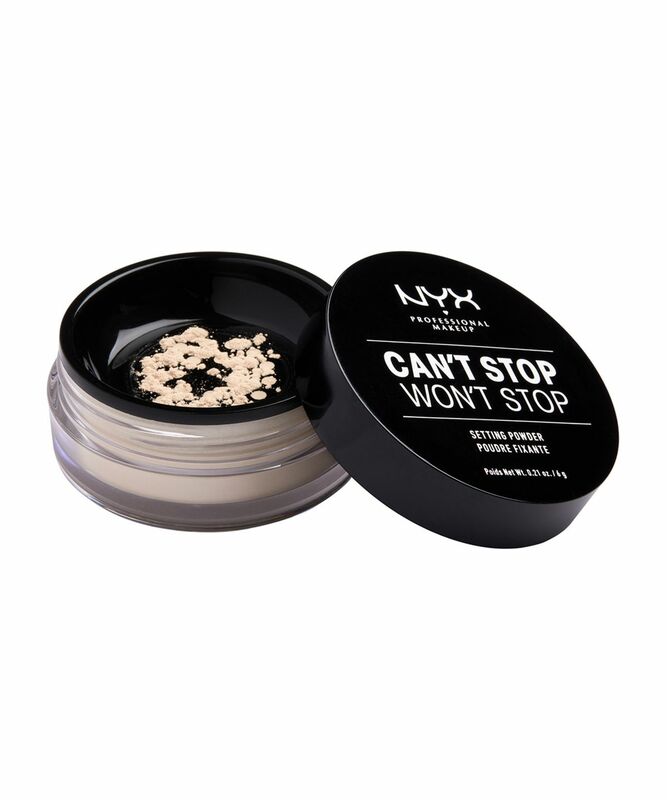 The perfect finishing touch to your – might we say – gorgeous make up look, the Can’t Stop Won’t Stop Setting Powder will set to impress (geddit?). The lightweight formula is ideal for oily skin types, absorbing oil for a fresh-looking matte finish. Whether you want to dust across your entire face, sweep it over your T-zone or bake under your eyes, this complexion queen does it all. Better still? It’s available in six versatile shades, including the brightening ‘Banana’. Using a kabuki brush, dip the brush in the powder and tap off the excess. Apply using circular motions all over the face, working from the centre outwards – or else you can just focus on certain areas like the t-zone, under eyes or cheeks. Good coverage, keeps shine at bay.